What Does It Mean If Your Furnace Booms? 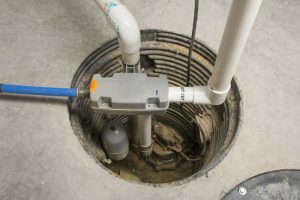 In some areas of the country, homeowners have no idea what a sump pump even is, and they never really need to know. Their homes may be in a position that flooding is unlikely, or that their home doesn’t have a low enough point that it would be impacted—such as a basement or crawlspace. We aren’t so fortunate though—flooding is an issue where we live and basements are prone to its impact. Spring temperatures begin thawing out the snow and can send water into your home faster than you know it. Fortunately, you needn’t look very far for professional Salt Lake City sump pump services. In the meantime, we want to help you perform a little sump pump maintenance on your own to make sure your home is ready for the change of seasons slowly but surely on its way! Typically, we wouldn’t recommend doing your own maintenance on any important home comfort device. However, this is more of an operational check than it is actually maintenance—for actual adjustments and repairs we urge you to call our team! The steps we outlined below should be following after every major storm, and every three months or so otherwise. Check the Condition of the Sump Pump: Do a visual inspection to see if there are any obvious signs of wear and tear. Examples may include a fraying cord, cracks in the case, and a pump that’s not upright. Additionally, is your sump pump plugged into a proper GFCI outlet? If not, make sure that it is—and if you don’t have a GFCI outlet to plug in the sump pump, we urge you to call in a professional electrician and make this a priority. Add Water to the Basin: Add just enough water to fill the top of the pit. Your pump should start up right away. If it doesn’t, it’s a sign that something is wrong and you’ll need to call in a pro. Clean the Screen or Grate at the Bottom of the Pump: This collects debris and dirt over time, and requires regular cleaning. Check the Drains: The drains that lead out of your basement will either direct to the sewer line, or to your yard. If it’s your yard, be sure to check that drainage can move freely and nothing will block it. You notice cracks along the sump pump cover or other signs of damage. The sump pump has shut down completely (and the circuit breaker does not reset it). Water doesn’t move out quickly enough, and clearing debris from the drain won’t help.